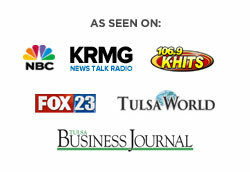 My name is Cory Minter and I’m president of Trinity Employment Specialists, a Tulsa staffing company and I want to talk to you about how important it is to look for an ethical DNA when hiring someone either within a company or as a recruiting company, how important it is for our recruiters to look for an ethical DNA. This little topic here is going to be not just for employers but also for employees. It really is meant as a general piece of advise that I think everyone can benefit from but I want to tell you a quick little story. I was at a concern last night and I watched someone pick up a credit card. I didn’t notice it but they picked up the credit card and they just walked off with it and I followed that person and I was just curious what are they going to do with this and I also wanted to let someone know, hey, somebody stole a credit card if they took off with it. I ended up losing them in the crowd, but they put it in their pocket and I’m pretty sure that they just took it home and were going to use it inappropriately. It got me thinking, man, I would hate to have hired that person and I think that there’s something that happens within someone where they make the decision. If they see a twenty dollar bill on the ground or they see a credit card, where it’s an easy decision to go, I’m going to go turn this in and do the right thing or I’m going to keep this and do the wrong thing. That decision really distinguishes a whole lot of people from another whole group of people. You have people who have an ethical DNA to them and then you have people that don’t have an ethical DNA to them. But, whether you’re an employer or an employee, if you’re an employee, wouldn’t you want to work with an ethical company? And if you’re an employer, the only person you want to hire is someone who is an ethical employee. I want to talk about some different ways that employers and employees can use to try to determine if they are with the right type of group for their ethical DNA. I just want to talk about this real quick. First thing I want to talk about is interviewing. You would not believe how many people that I’ve caught in a lie just going through their resume. Most interviewers are trained, especially over time, you just almost have a natural knack for catching somebody in a lie, just by going through the details. Asking lots of open ended questions, when you ask open ended questions, it just blows me away at how many people are dishonest about what it is that they’ve done. When you are interviewing, let me just give you a really quick note. Be honest. If you’re honest, you don’t have to sit and wonder about did I lie about this, what did I say here? Just be honest, just tell the truth. You’re never going to get caught in that. When interviewer’s catch you in a lie, it’s a done deal and if you ask enough open ended questions, you wouldn’t believe how easy it is to catch somebody being a little bit miss truthful and that leads me to another point that, most people when they’re interviewing, it’s not that they tell an outright lie. It’s that they’re bending the truth a little bit more and a little bit more and a little bit more and I’m telling you, when you do this, a good interviewer is easily able to find it out by asking those questions because you’re going to answer it a little bit differently. It’s really hard to keep track of a lot of bent truths, so when you are interviewing, I really want to encourage you to have a good solid ethical DNA. Think about it before you go in the interview and go, “I’m going to be honest throughout this time period.” You are going to sound so much better being honest, even about the negative things, just attacking the problem, letting them know what it is, owning up to it brings some value in itself. It brings a lot of confidence in the interviewer, to the interviewer when the employee or the potential employee is just honest about something negative, especially when they’ve left the company. If they’re just honest about it, there’s a lot of credibility that that brings. Be honest in your interviews, I promise you it will help you. The second thing, as a recruiting and a staffing company in Tulsa, it’s so important because Tulsa’s such a small community, it’s so important as a company to be honest and show strong integrity in the way that we do business with all of our customers. Word gets around. If you do something wrong or dishonest with someone, they’ll tell as many people as they can about it. You do something right, they might tell one or two but if you do something wrong, the whole world is going to hear. As a company, Trinity has made such a strong importance on dealing with our customers with honesty and integrity in everything that it is that we do. Let me give you an example of how we do that in our company. If we have an employee that is doing a good job while they’re on assignment or while they’re working with an employer, nine times out of ten, they’re there with the employer for the employer to see during that first time period if they are a good fit for their organization but what if they’re doing a good job while they’re at their job but on the back end, on payroll, they’re treating our administrative assistant poorly, they’re treating our payroll department poorly. When we’re having issues with people, even though we make money while our employees are out working, rather than letting them continue to go on, we know that our employers are going to adopt that problem later on and even though it costs us money, we are committed to letting our employers know that hey, we’ve got an issue happening here that we’re really concerned with. You can move forward if you want, however, we know that you’re going to adopt this problem. That costs us money and it’s not fun and easy for us to do it, but it’s the right thing to do. I’ve found as a Tulsa staffing company, if you just go around and do the right thing when interviewing, doing the right thing in staffing, doing the right thing when you’re working with your customers, it always has helped us. That’s why we’ve become the top fastest forty growing companies for the second year in a row by Tulsa Chamber. We want to continue that type of atmosphere and we want to continue that type of reputation in Tulsa. Just remember, be honest, show integrity and show this to the people. Give other people around you that gift and it will take you to levels that you never thought imaginable.